WOW, WOW, WOW! SPECTACULAR CUSTOM BUILT FIRST FLOOR MASTER HOME OF CORNER LOT W/TONS OF NATURAL LIGHT! Open flr plan w/soaring ceilings &gleaming hardwd flrs! Formal din & office w/built ins! Breakfast nook adjacent to Chef's kit w/Thermador gas range, SS appls, granite countertops & custom cabinets! Large master w/beautiful atrium off bathrm & master bath including rain shower head! HUGE bonus rm! Central Vac! Custom garage storage cabinets. 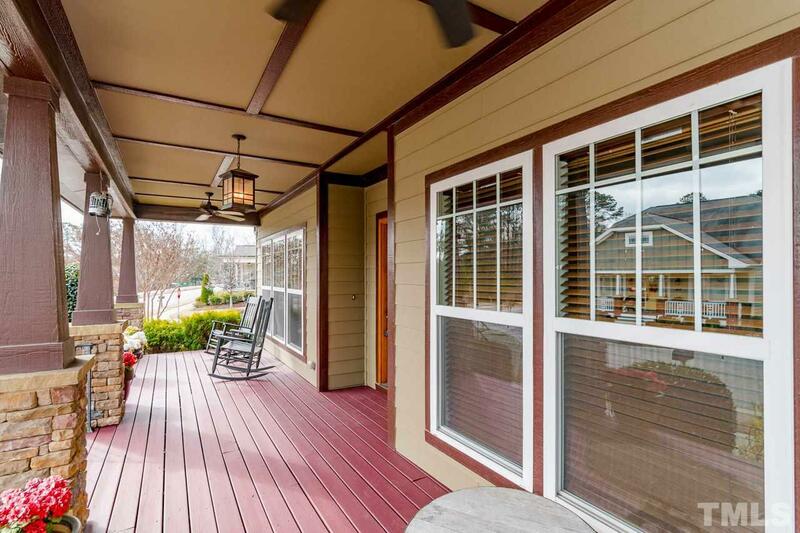 Screened in porch!Double porches overlook walking trail & pond!